As parents, it is important to pay attention to baby's growth. Sometimes there are those who feel worried when the baby cannot crawl at a certain age. In fact, there are many benefits to crawling in infants, although the baby's age can crawl differently. Crawling can be called the first way babies try to move their bodies independently. The initial age of crawling in infants varies with a range of about 6 to 9 months. Generally, when the baby is the first birthday, he is already very adept at crawling. Crawling is an exercise the baby needs to strengthen the muscles that will support it when walking later. A child occupational therapist said, crawling is a unique experience for body coordination training that will help children in activities such as eating, wearing clothes, and exercising. 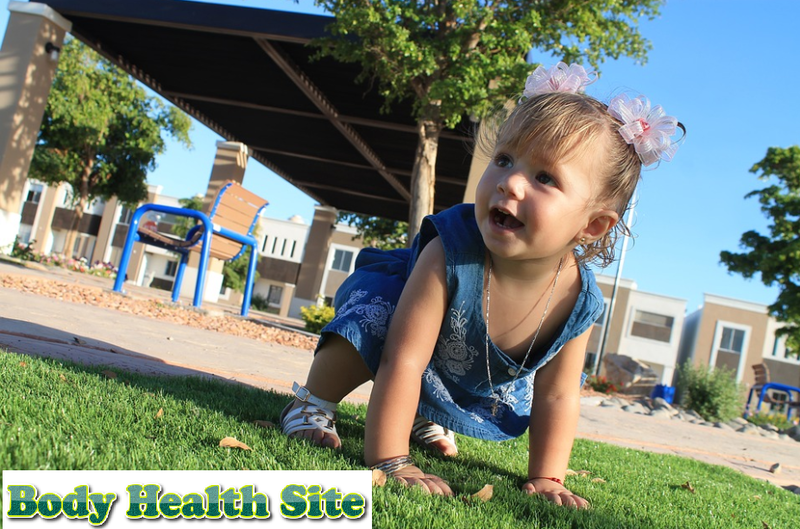 A professor of pediatric medicine explains, moving on the floor by crawling will help spatial visual abilities, namely the ability of babies to see objects and remember their location, and the development of perception more quickly. The movement to crawl is a time when the baby learns to balance the motion between the hands and knees. In the initial crawl period, the baby will appear to be trying to lift the head and chest while on prone position. Then, he will try to move the stomach and his body using the forearm as support. The muscles of the arms, legs, and back of an eight-month-old baby are stronger, this condition will make the baby crawl more varied. Babies can crawl from a sitting position then push their knees so that their bodies move. The crawling movement will begin with the direction backward. Babies then learn to move forward afterward. After mastering the movement, the baby will learn to move the legs and arms from different sides to move forward. The right hand that moves forward will be accompanied by the left foot and vice versa. What if the baby skips the crawling process? Research reveals babies who do not crawl will not affect other developments such as standing or walking. The increasing number of babies who do not crawl may be influenced by efforts to prevent sudden infant death syndrome. This effort prevents babies from sleeping on prone condition. Babies are put to sleep in a supine condition. Apparently, this effort has an effect on the crawling process. A study says babies who sleep on their backs have a two-fold chance of not crawling when compared to babies who sleep on their stomach. However, the babies of the two groups both walked at the age of one year, either by crawling or not crawling. However, experts emphasize the importance of giving time to prone or tummy time babies. Perform tummy time while playing in parental supervision. For example, by making a baby chase a ball or his favorite toy. A pediatrician said, what is important to note after reaching the age of 9 months is the desire to move, then it can be categorized as normal. The development of babies does have differences from one another. But if you reach the age of 12 months the baby does not seem to show an effort to crawl or move and does not show coordination of hands and feet while moving, you should consult a pediatrician. Crawling is one of the baby's growth processes that parents need to pay attention to. Consult further with the pediatrician if the baby seems to experience delays or difficulty crawling. 0 Response to "How important is crawling in infants?"